Eddie Brock, it would seem, has some problems in the new Venom teaser trailer, and one of the biggest for fans might just be that Spider-Man is nowhere to be seen. But there’s a good reason why we probably won’t see Spider-Man in this movie. His other thing that we don’t see is that Spider-Man basically banished Venom from New York City — or at least that’s what happens in the comic storyline this movie is based on. 'Venom: Lethal Protector' leads to Spidey and Venom teaming up against five other Symbiotes, but we probably won't see that. In the former comic, Spider-Man more or less banishes Venom from New York City, so Eddie Brock travels to San Francisco looking for redemption as some kind of anti-hero. As the trailer for Venom opens, we do get an obligatory shot of the Golden Gate Bridge, which is 3,000 miles away from Spider-Man (assuming he even exists in this film universe). If the film strictly adheres to the comic, Spidey wouldn’t be around Eddie because he explicitly sent him to the other side of the country. 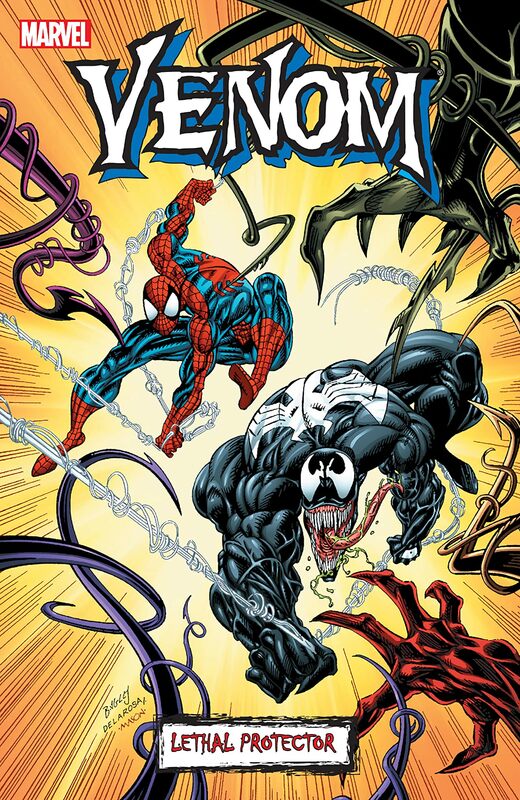 Both these stories more or less involve Venom having to fight tons of other symbiotes, eventually teaming up with a version of Spider-Man to do so. Based on what else we see, all that seems totally possible. There’s an ominous shot of a black Symbiote in the trailer, which could be one destined to infect one or more other people — unless that’s the very Symbiote that infects Brock and this is a full-on Venom origin story. Unverified reports over Summer 2017 said that Venom would feature Carnage, another more murderous Symbiote villain — but not one that appears in Venom: Lethal Protector. Most fans, however, probably prefer Carnage to Scream, Phage, Riot, Lasher, or Agony. Hardy himself also shared an image that seemingly teased Carnage in January, but that has since been deleted. And Michelle Williams confirmed in December 2017 that her character in the film is Ann Weying, who’s She-Venom in the comics. All in all, the tone of Venom is something much darker than your average superhero film, but it still doesn’t quite feel like traditional Venom even. The character’s origins are intrinsically linked to Spider-Man — in almost every case, the Symbiote bonds to Peter Parker first, which is why Venom’s powers are so similar. It’s Eddie Brock’s personal rivalry and vendetta against Parker that leads Venom to harass Spider-Man so much. But the entire tone of this movie is nothing like the hapless, cheery Peter Parker we get from Tom Holland in the MCU. Could you possible imagine his comparatively small Spider-Man going up against the same actor who played Bane but with a face like this? Venom from 'Spider-Man 3' (2007). Even if Spidey does show up in the big finale of this movie to help Venom fight off other Symbiotes, chances are that would just feel weird and unnecessary, because it would be hard for us to see Holland’s novice as a true rival to Hardy’s grizzled villain. If there’s one good reason for not having Spider-Man in this movie, that’s it. 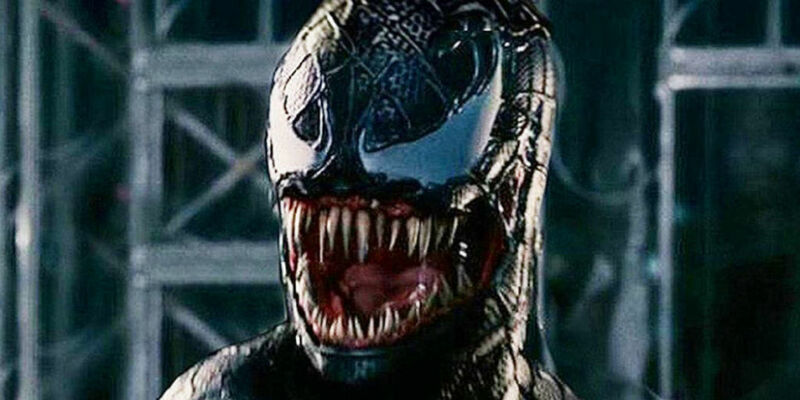 And from the looks of it so far, this version of Venom could have nothing to do with Spider-Man, so maybe that’s a good thing. Venom will be released on October 5 with or without those pictures of Spider-Man!